One day as I was giving a basic(!!!!) Excel training, my mind got sort of blown. We were discussing the use of A1:A100 in the Name Box for the selection of a range of cells from A1 to A100. You can see this in action here. It went by as it did a million times before except for a lady that said: “You could just as well put A1..A100 in the Name Box”. 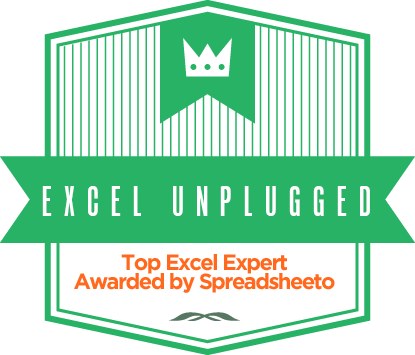 I wonder why this is so and who else knows about this, and I saw this as a perfect opportunity to start a very first Excel Unplugged Poll. Is it possible that this comes from Lotus 123 compatability? Can someone clarify the difference between “a1.a100” and “a1..a100”? I didn’t know about this either. Thanks for the tip!